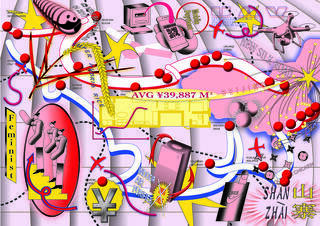 Celebrate the contemporary art, design, sounds and states of China in flux. As plans are afoot to construct a new Silk Road and the world’s largest airport is being built in Beijing, we ask how China is reshaping its position in today’s globalised world. Uncover a rural rebellion as Chinese artists abandon cities to create new village communities, watch trail blazing female Imams from China’s Muslim population, and discover how new notions of gender fluidity and sexuality are empowering artists. Get your hands dirty crafting the perfect dumpling and build your own robot from the electronics of Shenzhen.